All my UK chums cannot have failed to notice that Britain is in the icy grip of a cold snap that will be sticking around for quite some time. This has got me thinking once again about having to wrap up to brave the outdoors - of course this doesn't mean you can't wrap up in style, heaven forbid. 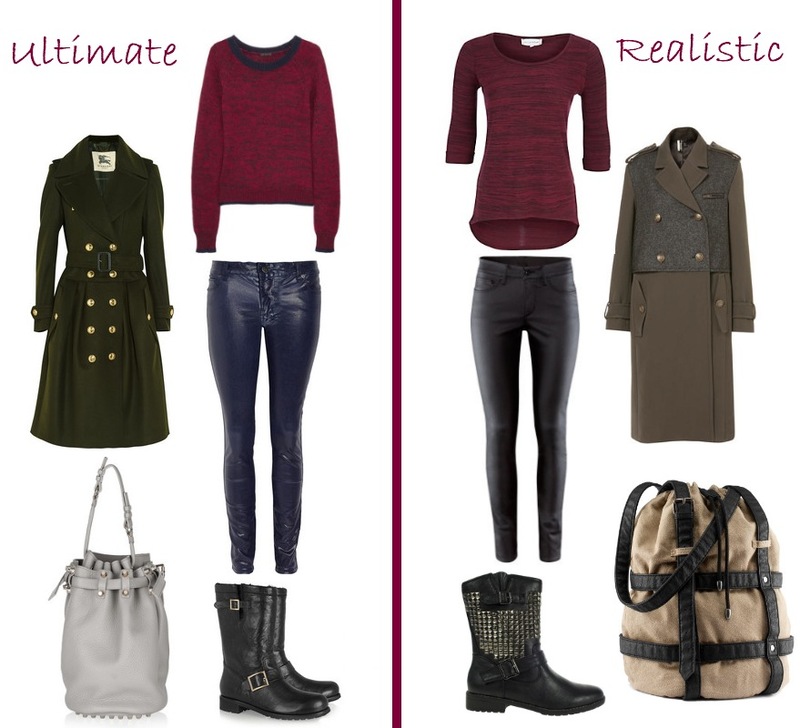 So wrapping up in chic is the focus of my January 2013 Ultimate & Realistic outfit choices...I hope you are inspired. Burberry London Wool and Cashmere-blend Trench - £1,095, Ksubi Skinny Pins Coated Jeans - £200, Theory Abner B Cotton-Blend Sweater - £225, Jimmy Choo Leather Biker Boots - £595, Alexander Wang Diego Textured-leather Shoulder Bag - £690. Topshop Premium Military Coat - £125, H&M Slim Regular Jeans - £19.99, New Look Dark Grain Red 3/4 Sleeve Top - £14.99, Barratts Studded Biker Boots - £35, H&M Bag - £19.99. There is no denying that the Burberry military trench is pretty close to perfection, but let's face it I have more chance of flying to the moon in a home made Diet Coke and Mentos rocket, than I have of affording this beauty. So guys, what is your favourite look - The Ultimate or the Realistic? I do think that, as you said, the Burberry coat is pretty much perfect but The Realistic side has its pros too - I really like the New Look jumper and think I even prefer the jeans! Loving your realistic version. A huge saving on the ultimate one. You've really found some great pieces for the "realistic" look! 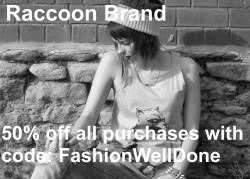 And they are totally affordable!! This is a cool feature, I love seeing things like these in magazines or blogs! And I prefer the ultimate coat and jumper, and then prefer the rest in the realistic version. I love the Burberry trench coat!